Baby is now considered TERM! Friday evening was scary! I'd taken the kids out for the morning, we were all tired when we got back and all slept all afternoon. Then in the early evening me and my eldest started being sick. We couldn't eat or drink without being sick. By bedtime I was in agony! My belly and back we're cramping. 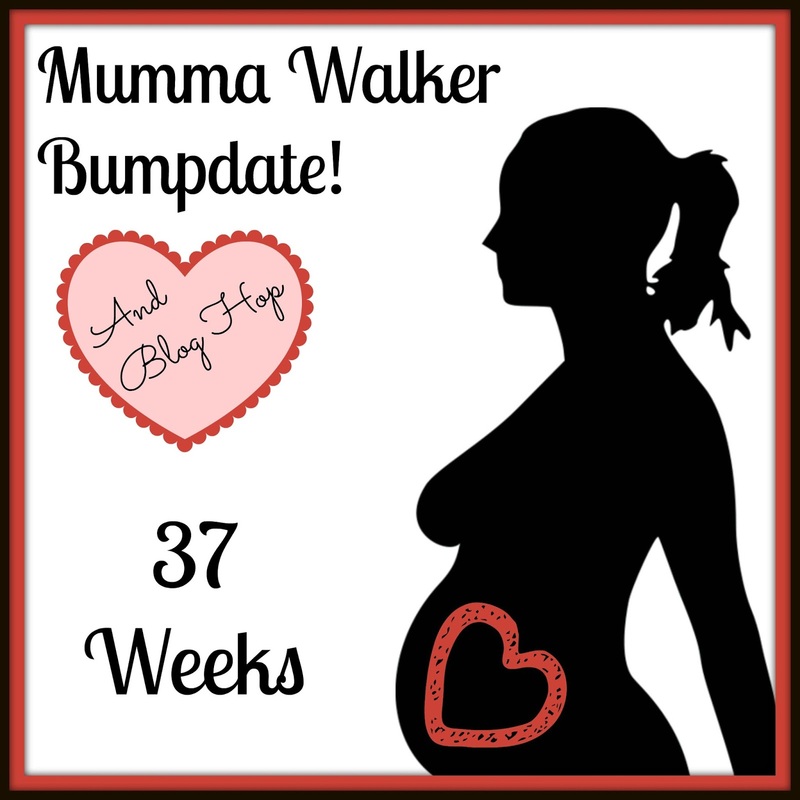 Baby has dropped quite low now so when I was sick and made my belly tense up, baby was upset and kicked me in the belly and what felt like my coccyx area. Pain beyond words! I couldn't stand, lie down, curl up, or squat. Hubby was worried the baby coming, but it didn't feel like early labour. I was in tears from the pain and on the verge of calling the midwives at the hospital when I remembered the Tens machine we'd recently been given - I've never had one before so it wasn't the first thing I'd thought of. Hubby set it up and I was able to cope again. Amazing thing! Now all I had to concentrate on was getting rehydrated! On average, at this time, a baby weighs about 6.8 pounds (3100g) and measures about 14 inches (35cm) from crown to rump and 21 inches (47cm) total in length. Your baby is still growing and gaining weight. Your baby may gain as much as 1 ounce (28g) a day at this point. If your baby is a boy, his testes should have descended into the scrotum by this time. Your doctor will check that his testes have descended after delivery. About one percent of boys will have undescended testes. Your baby has been building up waste in his intestines for the past few weeks. Called meconium, this waste is greenish-black and is made up of material from blood cell break down, shedded cells from the lining of the intestine, skin cells and lanugo shed into the amniotic fluid and swallowed, as well as other sources. Meconium is the first waste your baby passes and the first diapers that you change will probably be comprised of this greenish-black, tar-like substance. There is also a chance that your baby will excrete meconium before delivery and have some covering his body. Oh... And I guess I should mention this too: Baby is measuring 4333g / 9.55 lb! And my induction date is AUG 5TH!